A band who eschew the concept of a 'niche' and who create a sound that fuses genres Skies Below is a fascinating cello (yes, cello) driven prog band who have a chaotic and powerful sound that reaches out and takes the listener on a musical journey, brief as it may be. 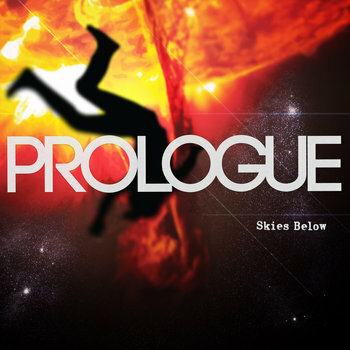 The unfortunate thing about Skies Below is that they have only a three song EP, Prologue, currently out, but it shows mountains of potential from a band who are doing something fresh and exciting in progressive music. With very busy tracks (some would say too busy at times) the music of Skies Below is strangely powerful, flowing from one ear to the other with ease. Sweeping the listener of their feet as it picks them up and takes them to new musical worlds. Filled with luscious soundscapes that are the product of great songwriting I'd like to hear more from this band. I get the distinct feeling Skies Below could be going very far soon. Their approach is unique and their sound is simply majestic, something you definitely can not get anywhere else.